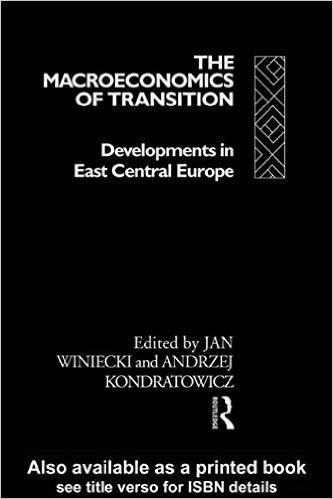 245 0 4 %a The macroeconomics of transition : %b developments in East Central Europe / %c ed. by Jan Winiecki and Andrzej Kondratowicz ; a book prep. in collab. with the Adam Smith Research Centre, Warsaw. 260 # %a London ; %a New York : %b Routledge, %c 1993. 300 %a IX, , 154 s. ; %c 23 cm. 504 %a Bibliogr. s. 138-140. - Indeks.